Ready to assemble bathroom cabinets are a great way to save money on a home renovation. Anyone can buy these types of cabinets for their home. It does not require a licensed contractor to build a ready to assemble cabinet. It is fine to hire someone to do the work however it requires only a few simple tools to get them put together. There are many different finishes to choose from. Each cabinet is modern and new looking. The updated bathroom will look like a new room once you install your new bathroom cabinets. Homeowners can find ready to assemble bathroom cabinets in a variety of finishes. They can choose to get traditional white. Plenty of bathrooms are designed around a white cabinet because it is clean and modern. White also pairs with any paint color on the wall, tile work in the shower, and flooring. Another popular finish in the bathroom is a medium wood tone. Medium wood tones include cinnamon and antique coffee. There is not a wrong choice when it comes to the bathroom cabinet finish. The best choice is the one that meets the needs of the homeowner. In addition to finish, consider the size of the ready to assemble bathroom cabinet. 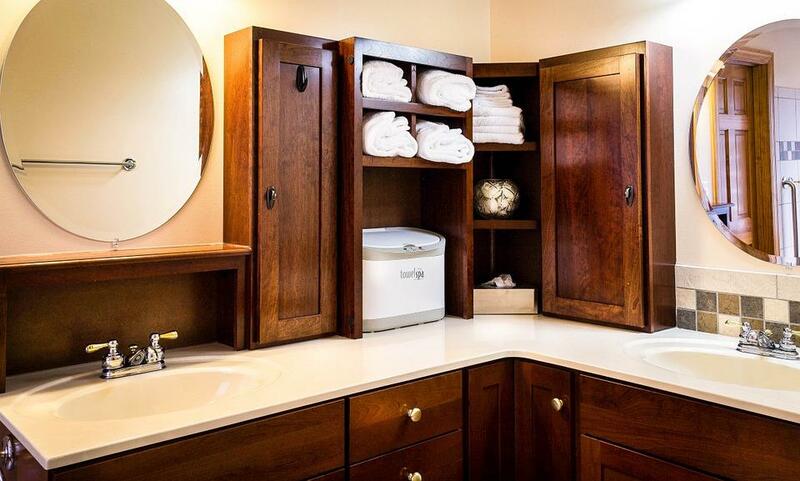 Your bathroom will dictate the size and style of cabinet that you purchase. If you are updating a small bathroom it might only be large enough for a single sink base with one set of doors or drawers. However, if it is for the master bathroom, consider a double sink base with plenty of storage for two people. Be sure to measure the space before you buy the one you like the most because it needs to fit around the plumbing, the door, and any other cabinets that might be in the room. After carefully considering the needs of the home-owner, purchase ready to assemble bathroom cabinets. This is a great way to save money. The cabinet will be delivered to your home in a flat box where you’ll be able to put it together on your time schedule. Home-owners are sure to love their new cabinets not just because they saved money on the budget but also because they are modern and beautiful looking.